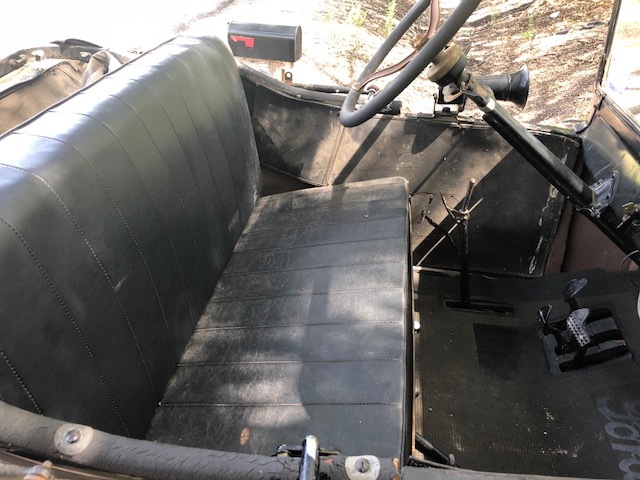 my 1922 model t has some incorrect seats in it now. basically just a rectangle seat and back thats comfortable but doesnt look right since its not the wrap around type style seat. 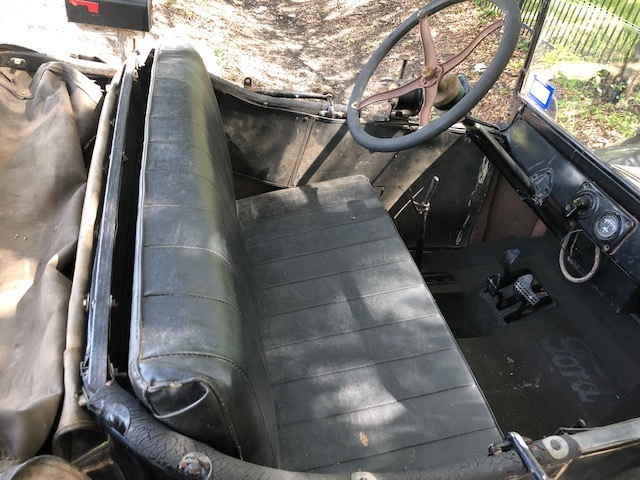 my question is where is a place that can do this type of seats and do i need springs or anything im not sure how its suppose to be this is my first model t and i can just tell these seats in mine are not correct and i want to fix that. this cant be original..... looks like ill need to replace the seat and the interior side pieces as the ones on it are shot. any ideas where to get these from? If you need seat and back springs, Snyder's makes good ones. If you have a choice on the supplier of the seat kit, get a Classtique kit. I used Cartouche and they came out well. Classtique is also well regarded. I recommend getting new springs for the cushion and the seat back. That way, you aren't fighting bad / incorrect springs, too. My back seat in my touring had a seat cushion spring instead of the correct seat back spring. A lot can happen in 100 years! 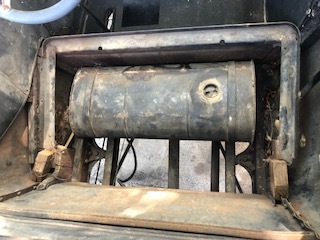 The cushions were easy (build a spring compressor to preload the springs), the seat backs required more work and time spent figuring out what the instructions really mean. Snyder's makes the springs all the dealers sell, so you can get them there. I agree with Mark on the upholstery: Classtique. Just upholstery. 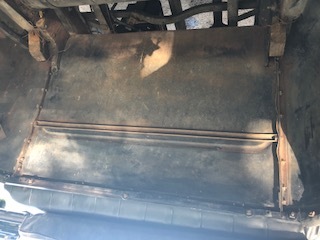 Once you take your old seats and upholstery out, please take some pictures of your empty tub and post it here so that folks can see if you're missing any wood or other structure before you install the new springs and seat kit. There is a 250K file size limit per picture. You can insert multiple pictures in a single post. Turn your steering wheel over! 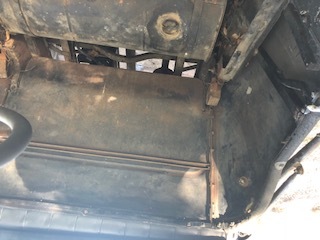 Looks like you're missing the wood structure that the seat back spring rests on, you can make your own or get it from fordwood.com. What Dan said! It be on upside down. Looks like you also need the wood for the arm rests and the top of the body tub. If it were me, I would pull off the inside trim panels to see if any more body wood is damaged or missing. Interesting application of water pipe insulation for the armrests! Looks like you have an interesting project that should keep you busy for a while. 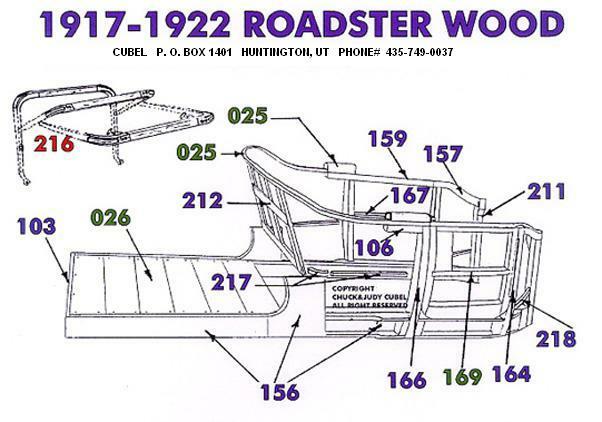 any images of what it should look like or plans to build these wood pieces? Leon Parker sells wood plans. You can send him a PM via this forum. There are four pieces of wood that need to be attached to your body for the back rest to lay against. You need to find someone that is familiar enough with T's to identify if your cushions are correct or not. There is no reason to buy new ones if yours are correct. Another thing I noticed, the thin piece of channel going across your back panel. 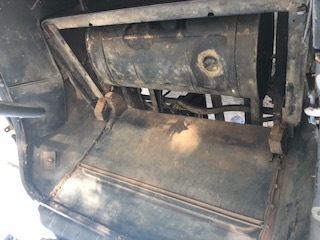 Originally, they had jute stuffed in there to eliminate vibration.